Shop sustainable and local clothing. Today, fast fashion—the trend of big corporations rapidly and unethically bringing low-cost versions of high-fashion designs from the runway to their retail stores—is the second largest source of pollution in the world. This statistic has made the sustainable fashion industry more and more essential to the preservation of our earth. 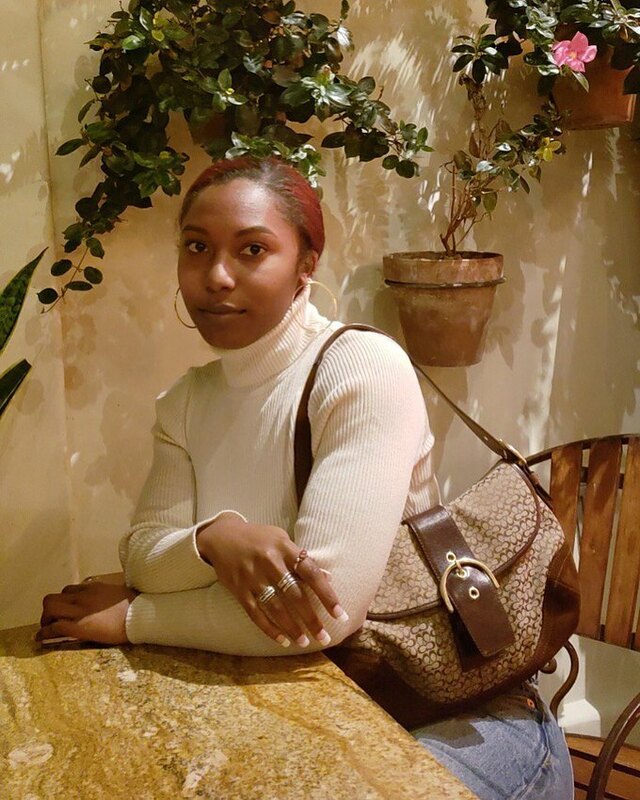 In Bushwick, Ashley Wheat and Coleman Downing are bringing that eco-conscious sensitivity to members of the community in the form of their brand, OMNIA ex NIHILO. Latin for “everything from nothing,” OMNIA ex NIHILO is a sustainable fashion line crafted entirely out of natural fiber fabrics like linen, organic cotton, recycled leather, and waxed canvas. Wheat, designer of OMNIA ex NIHILO, says that the inspiration behind the brand’s name comes from the idea that all things have to be created out of nothing. “In terms of our clothing, cotton has to be planted and grown, harvested, spun into yarn, milled into fabric, and finally turned into garments after a few months of design development,” she says. With this in mind, she chooses to use natural fiber fabrics which last for the garments’ lifetime, and are also able to eventually decompose and not pollute the earth. “I believe our garments should be able to return to nothing instead of taking hundreds of years to decompose, which is the case with synthetic fabric,” she said. 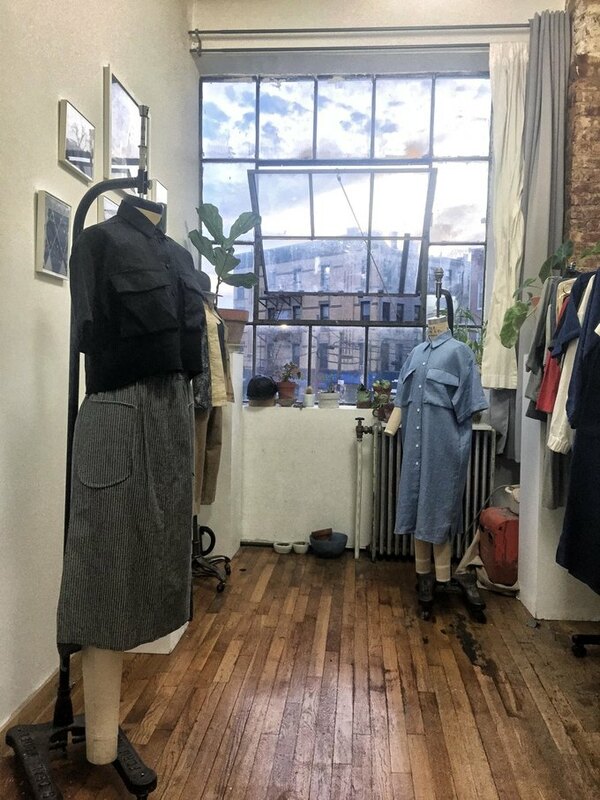 The two partners have lived in Bushwick since 2007, so their brand is not only a reflection of personal interests in sustainable fashion, but also an interest in creating an opportunity for the immediate community to shop sustainably as well. Wheat has been designing garments for OMNIA ex NIHILO since 2015, but the recently announced SS19 collection, titled FOUNDATION, is their first full-fledged one. 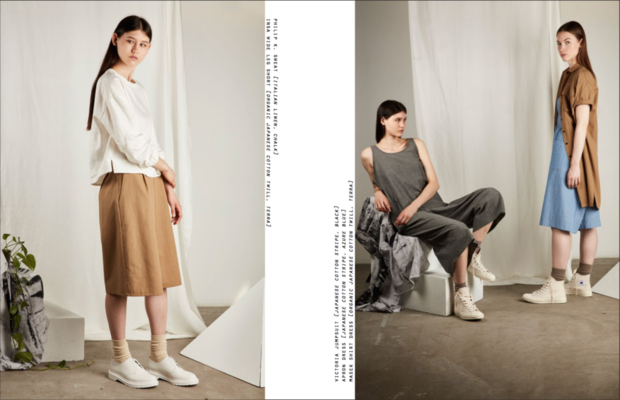 The lookbook for FOUNDATION features neutral earth tones and organic lines, and is inspired by the team’s recent travels to Tanzania, South Korea, and the Hudson Valley (which is full of small, utilitarian business built by members of the community, similar to OXN). In advance of the SS19 launch, Wheat and Downing had the opportunity to volunteer at an orphanage in Tanzania, which Wheat said was a big inspiration, “It was totally self-sustainable—they grow and cook all their own food. The excess food is used in a restaurant which is part of a hotel for tourists that is operated on the premises.” In turn, the proceeds from the restaurant help fund the orphanage’s operations. Additionally, Wheat was taken with the dusty colors and shifting landscape of the Serengeti, a geographical region and ecosystem in northern Tanzania, “We drew inspiration from the Maasai, a nomadic, tribal people in East Africa, and their traditional handmade textiles.” In a nod to the other places they visited in the country, Wheat and Downing named some of their pieces after the Tanzanian cities Arusha, Dar es Salaam, and Stone Town. Elsewhere, in South Korea, Wheat was struck by the contrast between Seoul’s industrial skyscrapers and ancient temples, which was mirrored in people’s fashion choices—some were dressed in modern, hip clothing, while others were in traditional Korean dress. “It was an interesting depiction of how you balance progress, while still paying homage to the institutions upon which their culture was built,” she said. This juxtaposition is translated into the clothing featured in FOUNDATION: well-built, classic pieces, while also being refreshingly on-trend. When shopping in the neighborhood, Wheat counts Chess and Sphinx, Worship, and Friends as favorites. And in true eco-conscious fashion, she recommends all of the thrift shops too. When buying new, it’s sometimes difficult to know where the materials have come from, and if the people creating the clothing were treated ethically and paid a living wage during the production process. The recycled nature of thrifting keeps gently used products out of landfills, and factory workers’ labor more deeply appreciated. On Friday, Feb. 15 and Sunday, Feb. 17, Wheat and Downing are hosting an event and sale at their studio in celebration of their SS19 line launch. All clothing from FOUNDATION will be for sale at wholesale prices, and visitors will have the chance to preview OMNIA ex NIHILO’s forthcoming FW20 line as well. Their studio, which is above neighborhood-favorite Mixtape Bushwick, is relatively quaint, so RSVPs are preferred. To make an appointment to shop in advance, email Downing at coleman@omniaexnihilo.com. All images courtesy of OMNIA ex NIHILO and Ashley Wheat.